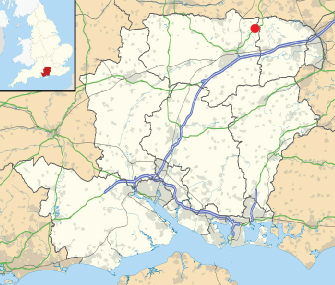 Stratfield Turgis, located in northeast Hampshire, comprises the hamlets of Spanish Green and Turgis Green together with Stratfield Turgis itself and a number of outlying farms. See an artistic overview here. Stratfield Turgis normally refers to the civil parish of Stratfield Turgis which is in the Pamber and Silchester ward of Basingstoke and Deane borough council. Stratfield Turgis is steeped in history, with a wealth of listed buildings and records dating back to the Doomsday Book. 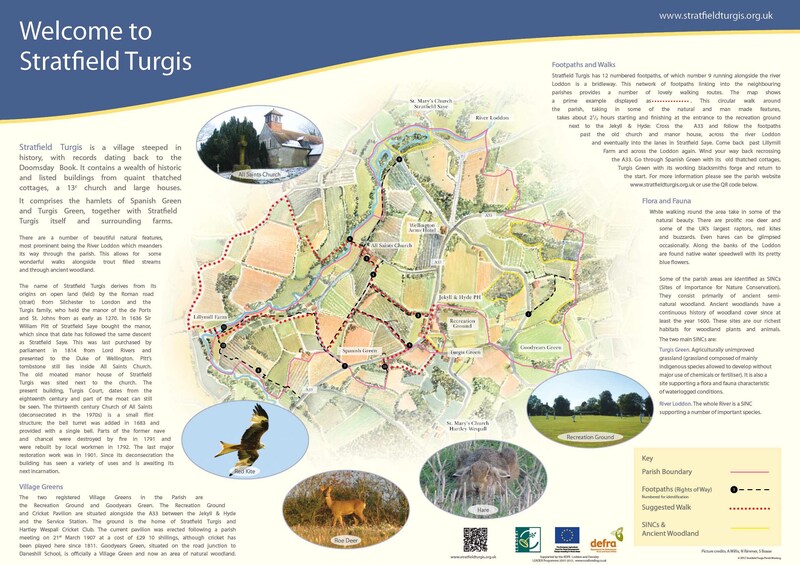 The name, Stratfield Turgis, derives from its origins on open land (Old English feld) by the Roman road (Old English stræt) from Silchester to London, and the Turgis family, who held the manor of the de Ports and St. Johns from around 1270. There are a number of beautiful natural features, most prominent is the River Loddon which meanders it's way through the parish. This allows for some wonderful walks alongside trout filled streams and through ancient woodland.